A gun activated by an implant in its owner’s hand may be the future of gun safety. One man has created a prototype firearm that is unlocked with his magic touch only. Graafstra demonstrated his invention for Motherboard this week from his Seattle, Washington garage. RFID chips are already used in a number of smart guns, like the Armatix iP1 pistol and the iGun. They are unlocked when a user wearing a wristband or ring picks them up. Graafstra’s smart gun is a modification of an ordinary firearm, however, adapted to unlock when in contact with his implants. 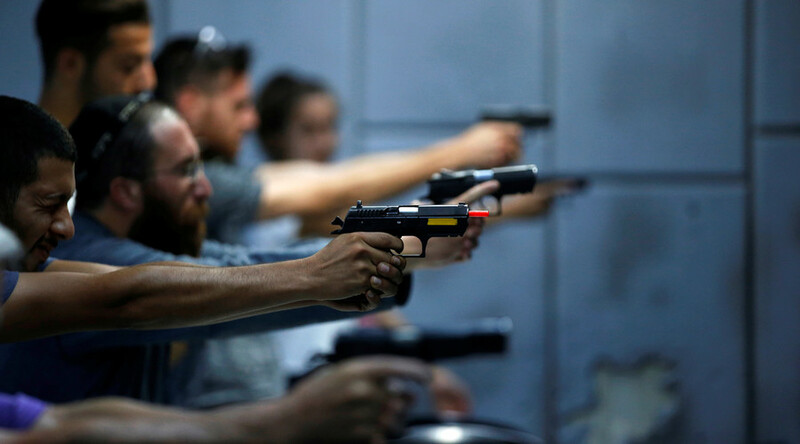 Smart gun technology has been criticized for being unreliable, particularly in the case of an emergency. Graafstra’s embedded chip would, in theory, not have these issues. The chip would be implanted under the skin between the thumb and forefinger. When a gun user picks up their weapon, the gun would unlock only for the person with the implant. He understands the dangers of easy access to guns in the US, and hopes that his invention will address these issues. “I think the smart gun concept is important, because eventually we’d be able to control who’s able to operate the weapon once it leaves the store,” he told Motherboard.